We are Psychology Specialists in Transforming Organisations by unleashing the potential of individual organisational members. All our training interventions are based on NLP and Applied Psychology. We can assist you in measuring ROI on training investment. Outstation programmes and training outside the country can also be arranged. The NLP programme was one of the best training programmes I have ever attended. The materials and training methods were excellent. It was very inspirational, energizing and brought out lots of fresh ideas. I recommend this training programme to all public sector employees who are interested in seeing real progress in their organisations as well as their personal lives. Thank you! 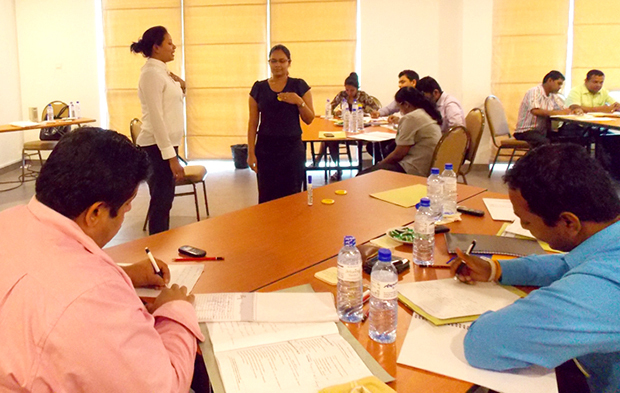 Jayamini & Gamaka for conducting a fantastic NLP program for the Fonterra Marketing team! It was very insightful & the learning's can be applied by the participants in both their professional & personal lives. Look forward to continuing our association! Thanks to Ms. Jayamini and Mr. Gamaka our staff has started to think differently. Day by day, incident by incident it proves to us that NLP training conducted by Mind Designs International has changed the employees positively. We have conducted other training programs, but NLP training program was the most attractive and mind blowing program among them. We covered around 150 employees including Managers, Executives, Supervisors and non-executive team members in to six (6) training sessions of which each and every session was very effective. One thing that confirmed me that how much employees were enjoyed and benefitted by the Ms. Jayamini's training methods was, after few days of the training employees started coming to HR department and said "Thank you very much" for arranging training program with Ms. Jayamini & Mr. Gamaka. Those lessons are applicable in real life�. It clearly indicates that after certain time period of the training implementation also they feel the benefit of it where we can�t see from most other training programs. The professional way of Ms. Jayamini & Mr. Gamaka presented the training and the knowledge and experience they shared was impressive. 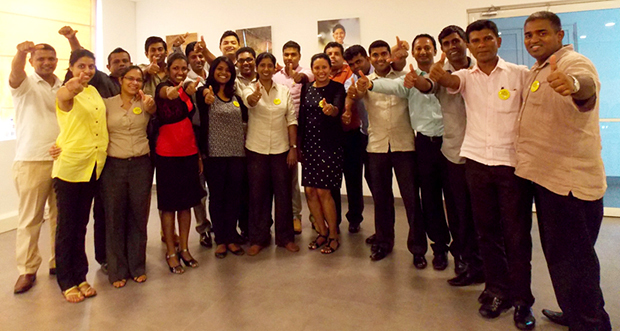 Thank you very much for enlightening our team members and helping them to identify their true potentials. So everyone, if you want to see real positive change in your staffs or yourselves, just Make a call to Mind designs, because they are maters in it. Asst. Manager Human Resources, Calamander Group.